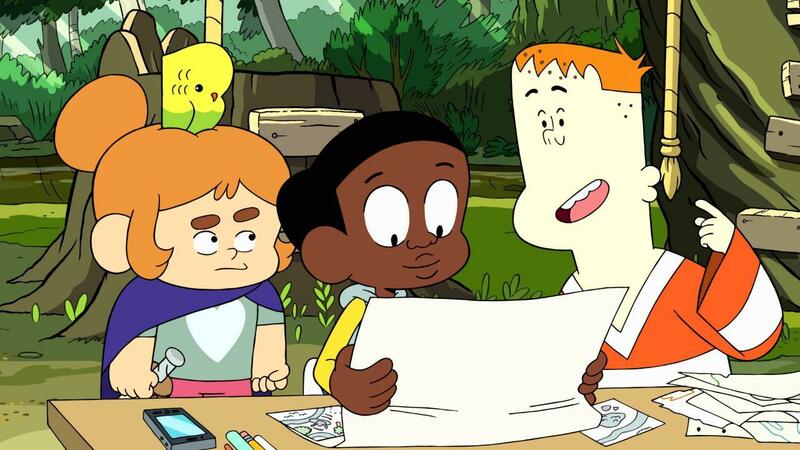 Craig of the Creek co-creators Matt Burnett and Ben Levin are no strangers to animation at this point. You might even be familiar with their work on Steven Universe, where they wrote many episodes. And now they're off to the races with a new show about kids having adventures. 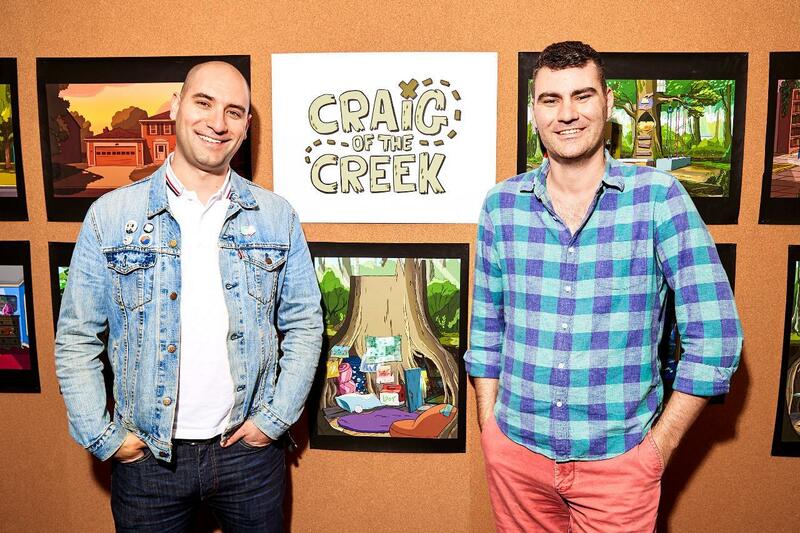 The show follows three kids, Craig, J.P., and Kelsey, as they traverse the world of "the Creek" that runs through the middle of their suburban lives. Each 11-minute episode focuses on some kind of new problem to solve with their imaginations and other kids they meet while exploring. ComicBook.com had a chance to speak with Burnett and Levin ahead of the on-air premiere of their new show, and they answered questions ranging from why they made Craig of the Creek to how Steven Universe prepared them for a show of their own. ComicBook.com: So I have seen two episodes, and I have to ask, what was the elevator pitch for Craig of the Creek? Matt Burnett: It was done on an escalator, actually! No, just kidding. Ben Levin: The basic logline of the show was about Craig and his friends going on adventures in the untamed suburban wilderness known as "the Creek," where he meets tribes of kids who rule over bike ramps and tree forts. The idea was ... basically we were talking about how when we were kids, we both grew up on the East Coast and in our neighborhoods there were these small patches of woods and even in my case, the woods was a half mile at best, but when you went in there as a kid it felt like you were in a whole other world, and so we wanted to capture that and make a show about kids, every day after school going into a whole other world that is the Creek, feeling expansive and forever. They can meet all sorts of different types of kids and have all sorts of adventures, even though it's really just a small place that's just between two houses. Matt Burnett: We wanted to do kind of like a grounded show about the things that kids actually get up to, but we wanted to use animation to kind of show the scale and the drama that kids experience the normal things they do, because they're kids, everything seems bigger to you, like Ben was saying, about the actual size of his creek versus how big they perceived it to be. I think that's what we wanted to do. We wanted to show kids doing what kids actually do, but do it through their POV so it felt heightened into this crazy epic adventure. Why Craig of the Creek? Coming from Steven Universe, I have to imagine there were a number of doors that could have opened for both of you. So, why this show? Ben Levin: We had talked about a lot of different ideas, and we pitched lots of different things, and this concept was actually really simple and straightforward, but had a lot of area to explore. It was just about three friends going on adventures, and that's historically what we like to do. We were thinking about what we like to do together, and the very first thing we animated together. We've been working together for 10 years. We were animating, just making shorts for YouTube back in 2007. We animated this short about three live-action role-players, three LARPers. The short was called, "IM IN UR MANGER KILLING UR SAVIOR," and it was about these three LARPers who were in a Nativity play and pretend to be the wise men, but took it to the D&D extremes, and we said, "we like doing that!" About three characters who like to play pretend that they're in a crazy magical world. It would make a lot more sense, though, if they weren't teenagers and they were just little kids playing in the woods. And that's what drew us to it, to be able to do all these nerdy Dungeons & Dragons-type adventures, but with kids. Matt Burnett: Yeah. And I think that Steven Universe I feel like has evolved into this big ... there's a huge story arc going on there that people are invested in, and it's built this world out that people have never seen before. But none of that works without it being about characters you love, and that's really what the early seasons of Steven did, is really establish these characters as people you wanna see and hang out with and hear their stories, and I think that our approach to Craig was, "Let's create characters." I think that's the stuff that succeeds the most, is when it's just about characters, and the plot of the series is secondary, you just wanna spend time with those characters. So I think with Craig it was like, "let's create kind of these grounded, fun kids that we would want to see and then see where it goes from there." I think we've still taken some of the lessons from Steven and we're just applying it to a more grounded setting. So do you feel like working on Steven Universe prepared you for this moment, then? Ben Levin: Oh, absolutely. I mean, we were lucky, Rebecca Sugar is a big collaborator with everyone she works with, and we collaborated with her on lots of aspects of that production, from the writing stage, up to sort of parts of the editing stages, the early editing stages, before the episodes were animated, what's called animatic stages. And so we got to see a lot of how she worked and how everything was done, and so we learned so much from that. Then also, just content-wise, being on that show, we saw how much ... the different types of representation on Steven, how much that meant to a lot of people, and that really informed us when creating Craig, and I think we really wanted to follow in those footsteps and provide as much representation as we could through this show and showing different types of kids, and different types of play, and different types of people. Matt Burnett: Yeah, yeah we wrote a ton of episodes! Ben Levin: -episodes for Steven, so we also learned a lot about storytelling for that! Matt Burnett: Yeah, on Steven we got to see a lot of what worked and what resonated with audiences, and really how to build this investment in a world, and I think that's something we've carried over to Craig. Our world is not as magic and fantastical and out there as Steven is, but the way that we're building it, I think still giving hints of things and always leaving the audience wanting to understand more and feel like, oh, there's a history here, or there's more to these characters that I want to see unveiled. I feel like a lot of the mystery of Steven and the way we've been able to bring people along on the journey of that show, I think we're trying to apply to Craig. Craig of the Creek will debut on Cartoon Network tonight, March 30th, at 6:25 PM ET. New episodes will air on both Mondays and Fridays "this spring," according to the network. Multiple episodes are currently available to watch on the Cartoon Network App.